Other photos: Photo 1, Photo 2, Photo 3, Photo 4, Photo 5, Photo 6, Photo 7, Photo 8, Photo 9, Photo 10, Photo 11, Photo 12, Photo 13, Photo 14, Photo 15, Photo 16, Photo 17, Photo 18, Photo 19, Photo 20, Photo 21, Photo 22, Photo 23, Photo 24, Photo 25, Photo 26, Photo 27, Photo 28, Photo 29, Galley 2a, Galley1a, Dinette, Photo 33, Photo 34, Photo 35, Photo 36, Photo 37, Photo 38, Photo 39, Photo 40, Photo 41, Photo 42, Photo 43, Photo 44, Photo 45, Photo 46, Photo 47, Photo 48, Photo 49, Photo 50, Photo 51, Photo 52, Photo 53. OWNER WANTS THIS BOAT SOLD!!! The 56 Ocean broke industry standards by offering a full beam master two guest staterooms, large main salon with a full galley in same level. She has a 24 knot cruising speed at 1800 RPMs with incredible fuel efficiency. 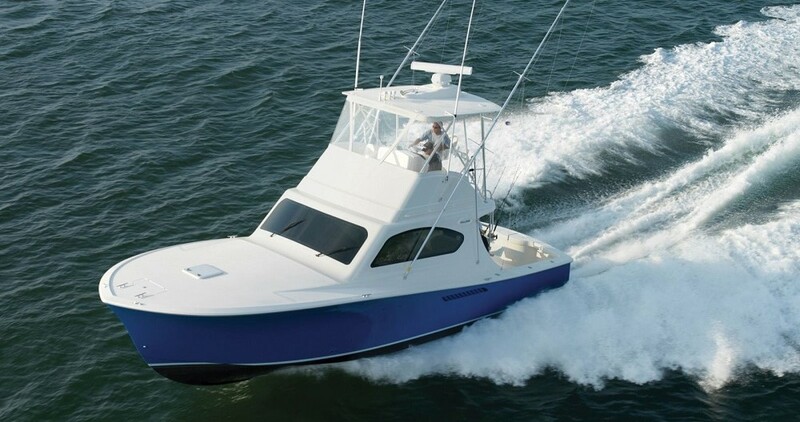 This is the perfect boat for family cruising or tournament fishing. JACKPOT is a well kept 2002 56' Ocean Yachts on the market. She has been constantly upgraded. She is coming with the Iconic Detroit/MTU Series 60 High Performance DDEC 825 HP. The most popu lar Heavy-Duty Diesel engine in North America. Why? because the simplicity of Electronic Fuel Injection, and in terms of fuel efficiency, Acceleration,Noise and Smoke, It is No Competition... Series 60 is The Clear Winner. Are you in the market for a boat of this type? You can be sure JACKPOT will not disappoint you. Call today for a showing!!! SYS Yacht Sales is pleased to assist you in the purchase of this vessel. This boat is centrally listed by Revolution Yacht Group.